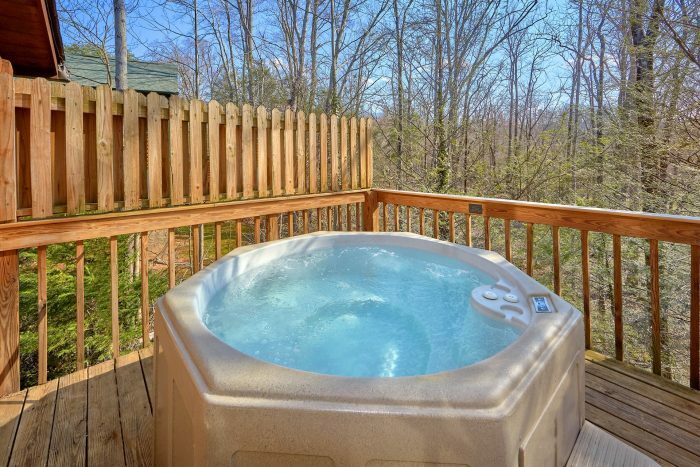 Located only minutes away from Downtown Gatlinburg, you'll find "Hearts Desire" a beautiful 5 bedroom pet friendly cabin that sleeps up to 14 guests in comfort! 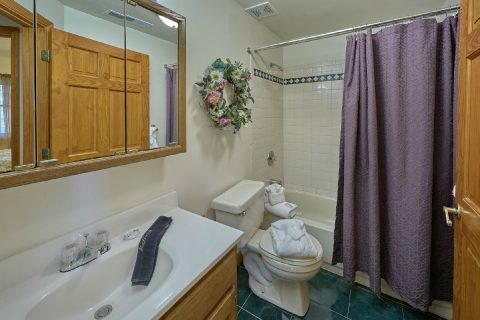 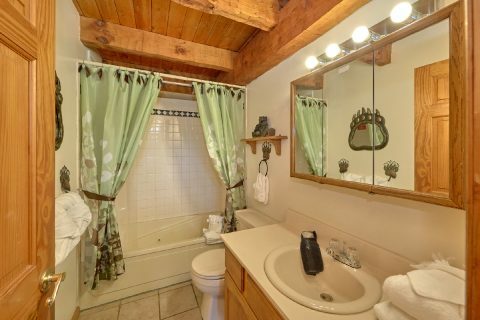 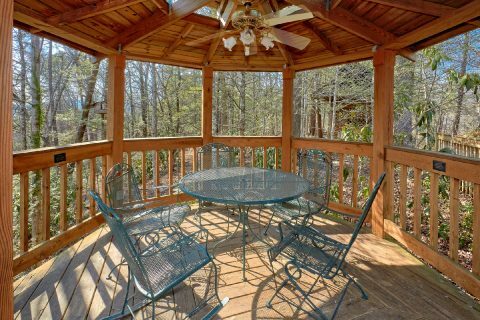 With a great location on Gatlinburg's East Parkway, this rental is less than 3 miles from the heart of Gatlinburg where you can enjoy excellent attractions like Anakeesta and Ober Gatlinburg. 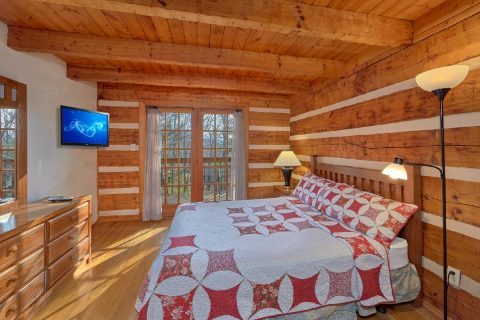 Additionally, this cabin is a great choice for anyone who wants to explore the Great Smoky Mountains National Park or experience the historic Glades Arts & Crafts loop. 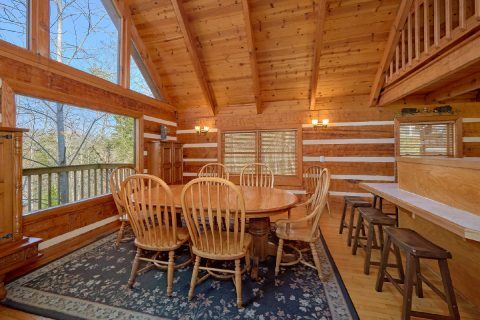 As soon as you step into this spacious cabin, you'll be glad you reserved such a quality rental for your family and friends. 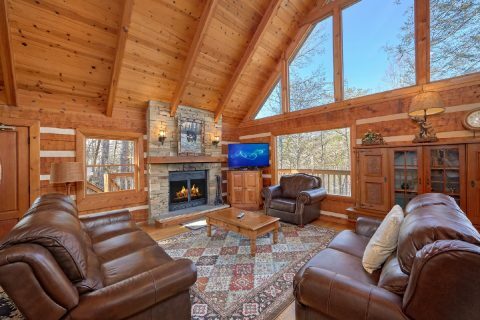 The inviting main living area provides a wood-burning fireplace and a flat-screen television. 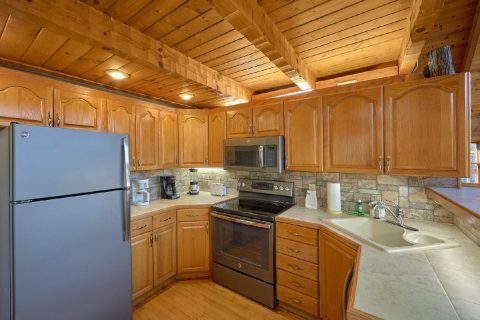 Nearby, your cabin's full kitchen offers everything you need to make delicious meals during your stay. 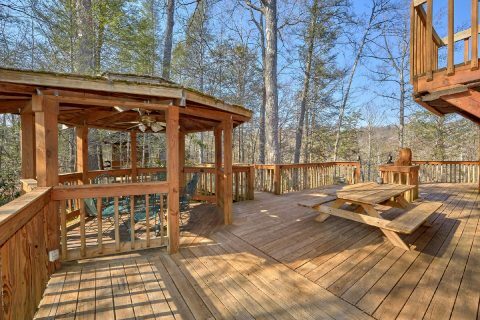 From this level, you can step outside to your cabin's large wraparound deck that features a hot tub and a gazebo with patio seating. 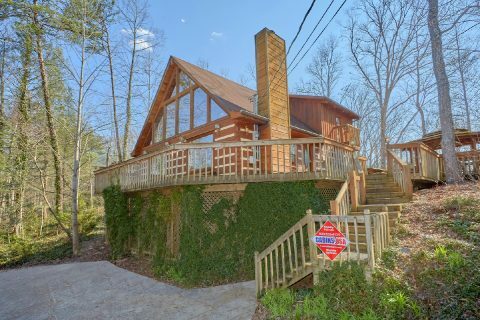 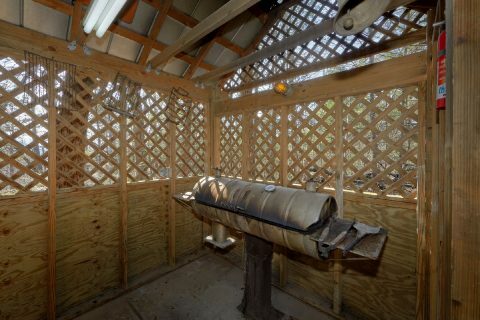 In a detached building, you'll find your cabin's smokehouse and a charcoal grill house that's perfect for making a delicious barbecue dinner. 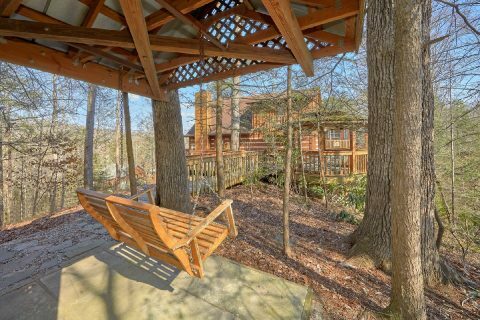 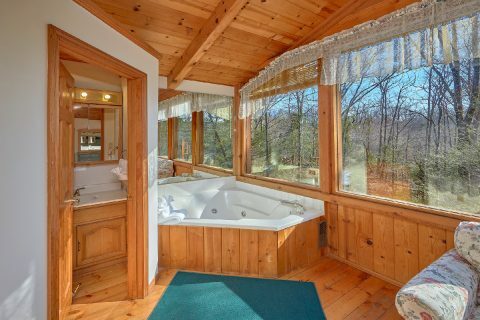 With this cabin's semi-secluded forested setting, you'll love relaxing on the deck surrounded by the beauty of the outdoors. 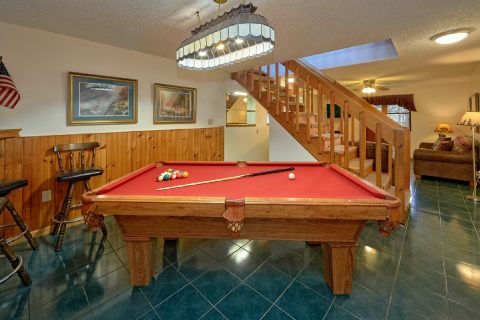 Downstairs, you'll find plenty of entertainment in the 2nd living room and game room with a dry bar and a pool table. 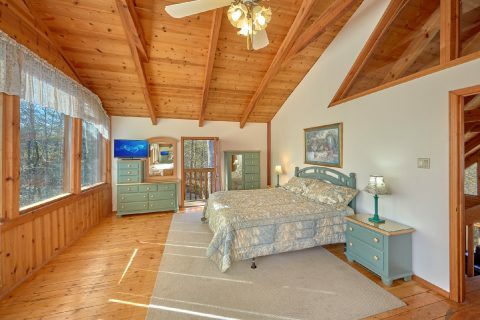 Once you're ready to get some rest on your vacation, you can look forward to sleeping in one of this cabin's 5 private bedrooms. 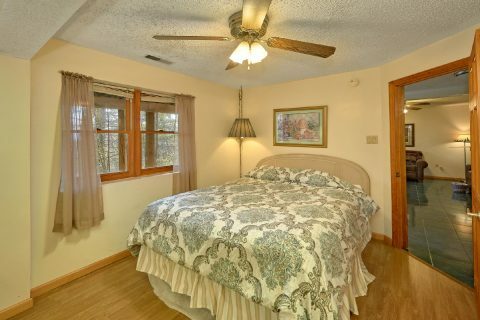 The main level features 2 bedrooms with queen beds. 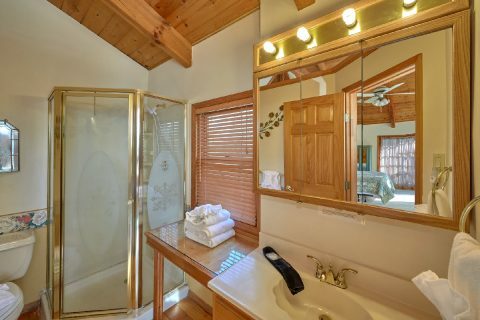 Upstairs, you'll find a king bedroom suite complete with a romantic jacuzzi tub and a private balcony. 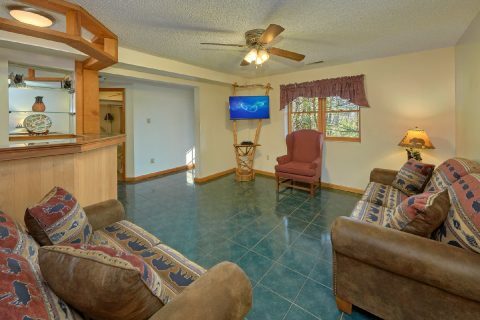 There's also a sleeper sofa on this level to accommodate extra guests. 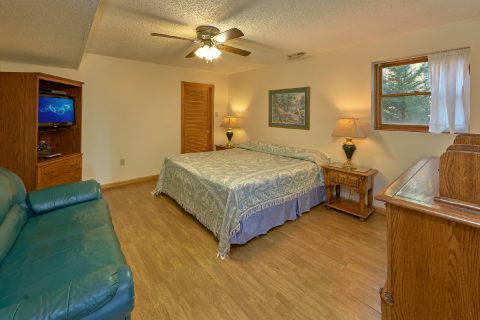 Downstairs, you'll find one king bedroom, a queen bedroom, and a sleeper sofa. 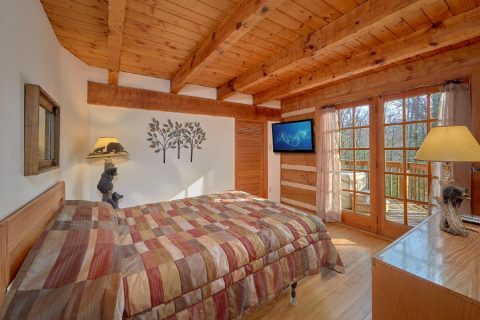 Altogether, this pet friendly cabin can accommodate 14 guests in comfort and each bedroom comes complete with a private television. 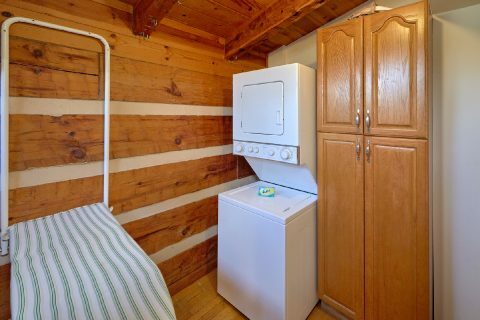 Better yet, "Hearts Desire" features useful amenities like WiFi Internet and a washer/dryer for you to use during your stay. Book this affordable cabin that's less than 3 miles from Downtown Gatlinburg today with Cabins USA to save 15% on your nightly rate! 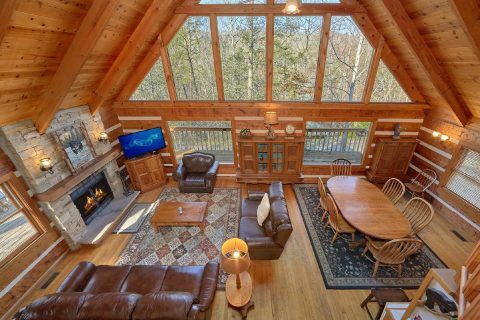 Simply check the availability of this pet friendly cabin to see how much you can save on your getaway to the Smokies!